Feeling the pull from across the sea, however, the twosome decided to leave the bands they were in at the time and de-camp to Portland, Oregon. 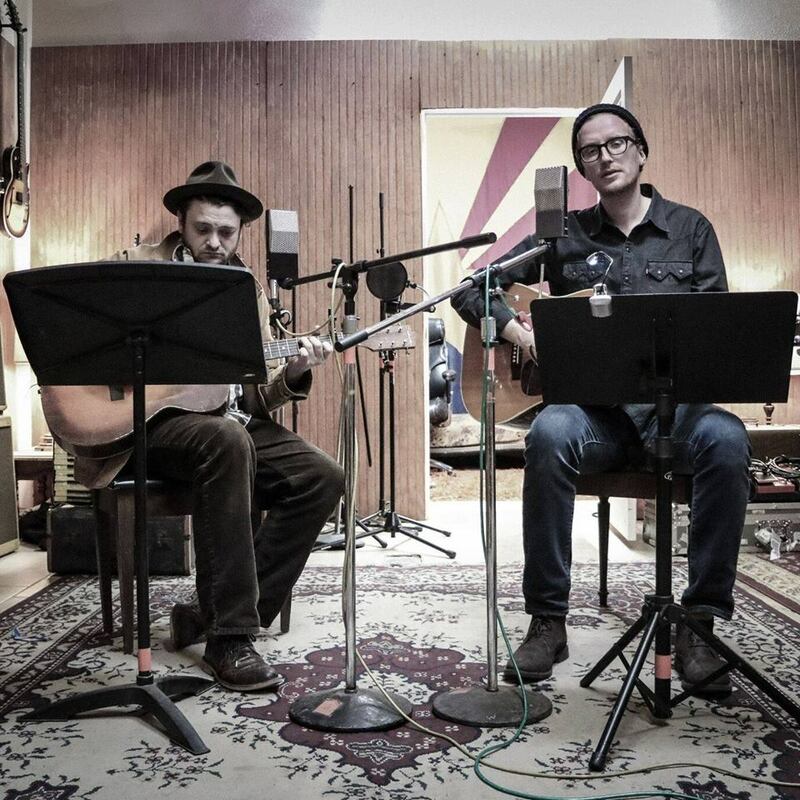 There they hooked up with producer Mike Coykendall (M Ward, Bright Eyes), and recorded in his attic, what would become their folk tinged debut album, TRAILS OF THE LONELY. Returning to the UK, the duo headed for London where they started their own label, ‘BIRD DOG RECORDINGS’, and released TRAILS OF THE LONELY in November 2008. The Lost Brothers spent the next two years touring and writing, honing their craft both as a live act and a songwriting partnership, while building a steady fan base along the way. In 2010, they were off to Sheffield, England with a new batch of songs. These recordings turned out to be their second album, SO LONG JOHN FANTE, released in 2011 on Bird Dog/ Ace records. More recently, the Losties caught the ear of Raconteur, Brendan Benson, who invited them to record their third album in his Nashville studio. The album is their best yet. It is called THE PASSING OF THE NIGHT and will be released on Brendan’s READYMADE RECORDS in the US and on LOJINX RECORDS in the UK and Ireland, under a blue moon in September.